Applying our experience in systems-level thinking, together with detailed knowledge of control systems and instrumentation, we can help assess and improve the design of your safety alarm systems. With a close relationship with EEMUA, we regularly run popular and respected training courses together with dedicated consultancy. Logical, coherent and robust alarm systems are an essential requirement for the safe operation of large process plants and complex industrial equipment. There are many reported cases where under-specified and poorly designed systems have failed to adequately warn operators of unplanned events or help them control the consequences, leading to disastrous outcomes such as the explosion and fires at the Milford Haven refinery in the UK in 1994. This serious incident injured twenty six people, caused damage of the order of €50 million and resulted in the loss of a large amount of production. Our Alarm Systems Management services are built around our internationally-recognised training course held in London, Manchester/Stockport and on-site that hundreds of engineers have attended over the past decade. This concise 1 day session provides an introduction on how the UK Health and Safety Executive (HSE) expects alarm systems to be managed. It helps managers, designers, supervisors and operators understand techniques to recognise and deal with typical human-factor problems involving alarm systems. The tuition is aligned with EEMUA 191, the globally accepted and leading guide to good practice for all aspects of alarm systems, issued by the Engineering Equipment and Materials Users Association. 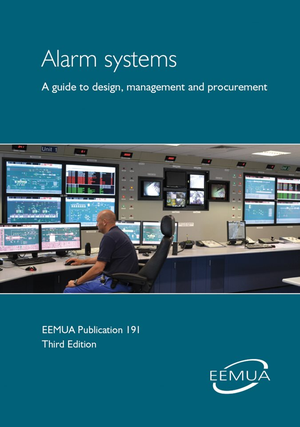 This publication, developed by users of alarm systems with input from the HSE, gives comprehensive guidance on design, management and procurement. Beyond training, we can support engineers with the planning and optimisation of their alarm systems through consultancy, including a Gap Analysis service for rationalisation projects.